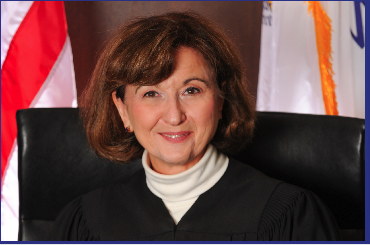 Judge Gubin has scheduled a fundraiser for Thursday, June 30, 2011, from 5:00 to 7:00pm at La Rosetta, 70 West Madison Street. Tickets are scaled from $100 to $1,000. More information is available on the campaign website. The Illinois Supreme Court has appointed Chicago family law attorney Regina Ann Scannicchio to the 14th Judicial Subcircuit vacancy created by the resignation of Judge Lawrence O'Gara. Scannicchio was among the finalists when Associate Judges were last chosen in 2009. A 1988 graduate of John Marshall Law School, Scannichio is a member of the Executive Committee of the law school's Board of Directors. Her appointment is effective July 5, and terminates on December 3, 2012. When a judge leaves office, the Illinois Supreme Court will usually fill the vacancy by temporary appointment. In order to remain on the bench, the persons appointed must usually seek election, either to the seats to which they were appointed, or to some other vacancy. Sometimes the Cook County Democratic Party will back the judge appointed by the Supreme Court, but not always. Sometimes the party will slate the appointed judge for a different vacancy -- and sometimes the appointed judge will receive no party backing at all. What follows is a list of the vacancies I've compiled and the identity of the person appointed. Vacancy of the Hon. John A. Ward -- Alfred M. Swanson, Jr.